This process is done to remove dirt and blood from the surface of leather. The hides are soaked in water kept at 20 degrees Celsius to avoid shrinkage and detergents can be added with an alkaline chemical that aids the uptake of water. This process also moisturises the hide. Again the hides are soaked in alkaline conditions, this is to loosen the hair (unhair) and to swell the collagen fibre and break down non structural proteins that would harden the final leather if not removed. The hides are washed for fleshing. They are passed through a machine that removes unwanted flesh, connective tissue and fat. The hides can now be split into two. The top layer is used in most upholstery as it contains the grain pattern or can be corrected and have an embossed pattern applied to it. The bottom layer (split) is then used for suede or can have a pigment applied to it and becomes a finished split (commonly used on the backs & sides of upholstery). The hide is prepared for tanning by reducing the swollen and rigid fibres. This is done by removing the alkali with acidic chemicals such as ammonium chloride or ammonium sulphate. This process gives the hide a smoother, flatter grain appearance and it is also the stage that makes the final leather softer and stretchy. This process is used to adjust the hides ready for tanning. This is done by introducing an acid into the hide to lower its pH. The mixture may also contain salt to further reduce the swelling. 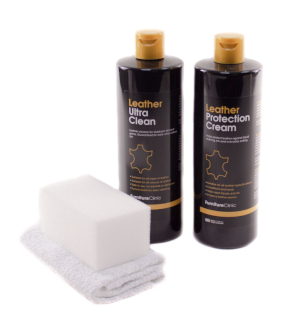 Mild alkalis are added to the leather, which prepare it for later chemical processes.. Simple – the leather is dyed in drums to give it colour! Anionic dyes are very common as they are negatively charged and so latch onto the chrome leathers well. 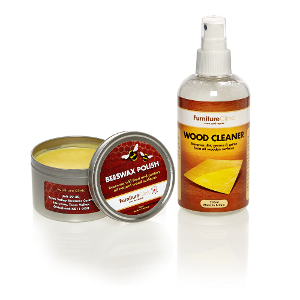 This process uses fats and oils to lubricate and soften the fibre structure of leather. The manner in which the oils are introduced into the hide coat every fibre. This is where leather gets its smell! The leather is then dried. This can be done by hanging it on pegs or laying it on a board and applying heat. This method is poplar as it can dry a hide in just a few minutes. This process softens the leather. The leather is passed over a series of blunt pins that pummel and flex the leather to soften it up. The hide (on a cow) can get scratched, bitten and cut. All these imperfections show on the grain and need to be repaired. The damages are filled using the 'leather repair compound' (a flexible filler), the leather is then left to dry and then the grain side of the hide is passed through a machine with abrasive material to buff away the imperfections. The type of leather is known as correct grain.